If you’ve experienced a fire in your home, even if most of the structure was salvaged, there will still be a lot of cleaning up to do. This is not an easy task. Consider hiring a professional cleaning service for fire damage cleanup. After a fire, people often feel overwhelmed or helpless. They may have lost valuable possessions or one-of-a-kind family belongings, and they will probably need to stay in a hotel or with family until their house is habitable once again. For all of these reasons, it may be difficult for a homeowners who have just experienced a fire to go and clean up the mess themselves. Even if they have the time and want to do the cleanup on their own, they are probably not equipped to do so. Professional cleaners have the right equipment for post-fire restoration, such as heavy-duty vacuum cleaners to remove soot from textiles and protective gear to safeguard them as they work. If a homeowner attempted to clean with a regular vacuum cleaner, he would probably end up setting the soot deeper into the material instead of removing it. Professionals also have special tools to remove firefighting foam and to deeply deodorize surfaces without causing damage. The cost of a post-fire cleanup depends on the severity and location of the fire. If it was a relatively small kitchen fire, most likely the only damage was to the room’s surroundings and some appliances. Other items like dishes, towels and furniture will have to be cleaned as well, but most things in a kitchen are washable or in closed containers. 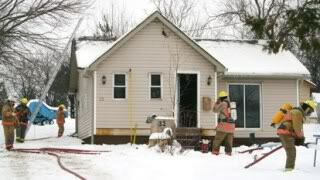 Therefore, a cleaning service may charge between $2,000 and $4,000 for a small kitchen fire cleanup. If the fire affected the entire kitchen or a different room in the house, the cost could be in the tens of thousands of dollars. Aside from the smoke and fire damage your home and possessions sustained, there may also be a large amount of water damage. If a water hose was used to put out the fire as opposed to other fire-retardant chemicals, your furniture, floors, clothing and drapes will have to be cleaned. If water was sprayed onto your home for an extended period of time, there may be damage which will need to be repaired by a flooring contractor. Additionally, if windows or walls were destroyed in the fire and you live in a rainy city like Seattle, Washington, your house may experience further water damage until the structure is repaired and closed up. If you experienced a major fire in your home, be sure to get the approval of the fire marshal and a building inspector before you return. Whether you are helping with the cleanup or just going to inspect your home, make sure you keep the windows open and properly ventilate the area. Contact your insurance company and file a claim immediately. Include photos of the fire damage if possible. Don’t let the soot and smoke dwell in your home – contact a professional cleaning service and have them restore your home to what it once was.